1. 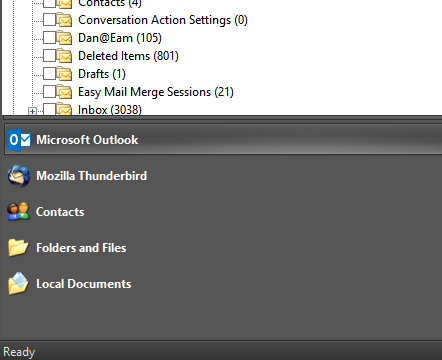 Obviously, the first step is to download & install Email Address Collector. It works with all Windows versions, starting from Windows XP. Then, click on its Programs icon to start it. 7. 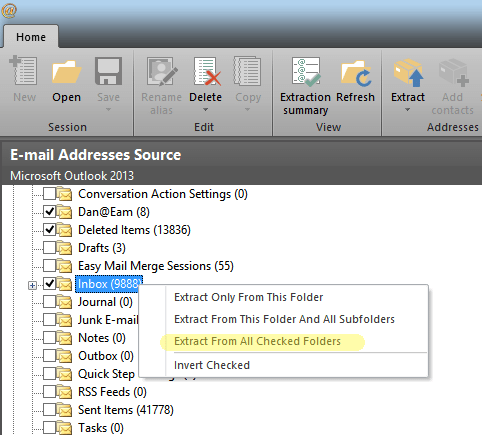 When you are done configuring your email address extraction filter, simply click on the Start button. 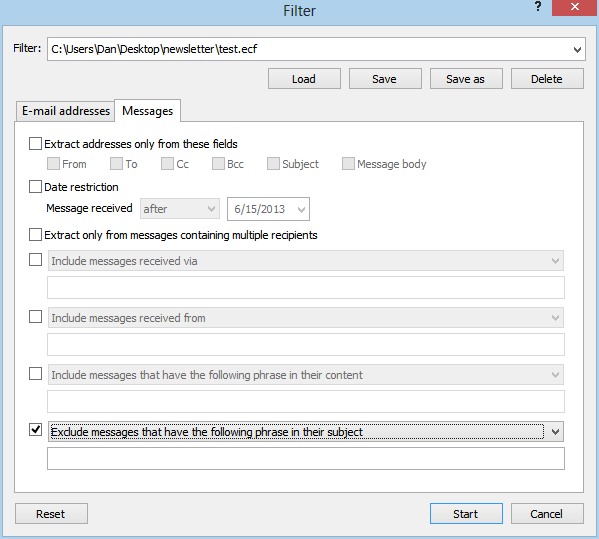 Email Address Collector will extract only those email addresses that match the filter you defined. Then you can save the extracted addresses as a CSV file or you can export them to Outlook Contacts or other contact management apps. Why would you need to extract email addresses based on the email subject field? Let’s say you want to create a mailing list based on the senders found in your Inbox emails. Most likely, your mail folder contains all sorts of emails, including mail delivery failures, newsletters, payment receipts, out-of-office replies and so on. You can configure Email Address Collector to exclude such emails, so you end up with a mailing list that contains only those email addresses that actually matter. Alternatively, if you want to create a mailing list based only on those people that reached you through a web contact form (so all these emails have the same email subject), you can use Email Address Collector and define an extraction filter that will extract email addresses only from emails that have the given email subject line, while all the other emails will be ignored. 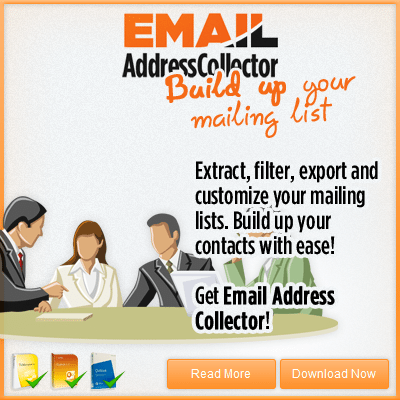 Email Address Collector features tons of other extraction filters: you can choose to extract email addresses and include or exclude emails based on keywords found in the email header fields (TO, From, Subject), email content, email date, email domain and so on.